SUTC provides a wide variety of coaching sessions for both Members and non-Members, individually and in groups. Individual coaching sessions from Club Coach Paul Robinson are available all year round - from single lessons aimed at improving aspects of your game to programmes for beginners, improvers and team players of all ages. 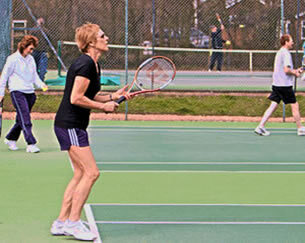 During the tennis season, there are also group coaching sessions available on Monday evenings for ladies and on Fridays for Men and Ladies, as well as regular Cardio Tennis sessions for ladies and men on Wednesdays (daytime) and Thursdays (evenings). Click here for full details and an application form. We also have dedicated coaching programmes for younger tennis players, which run on various evenings and at weekends throughout the year. Please see the Juniors page for an extensive overview of the choices we have on offer for junior's tennis. Groups are small and friendly, and the empahasis is on improving technique. 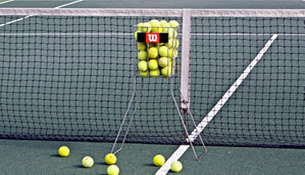 Contact Paul Robinson on 07976 375461 or email pjr.tennis@btinternet.com for details of current courses. Please inform us in advance if you would like to attend any of the sessions above. Contact Paul Robinson on 07976 375461 or email pjr.tennis@btinternet.com for details of current courses. Please inform us in advance if you would like to attend any of the sessions above. Lessons can be arranged at all times of the day thoughout the week and at weekends to suit your schedule. Please contact Paul Robinson on 07976 375461 or email pjr.tennis@btinternet.com for more details. It's often helpful for younger players to learn together in small groups and lessons for 2, 3 or 4 children can be arranged for friends and classmates. Weekends are especially good for this - please contact Paul Robinson on 07976 375461 or email pjr.tennis@btinternet.com for more details.